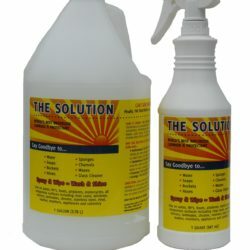 We only sell economical tried and true cleaning products for your RV and tow car. 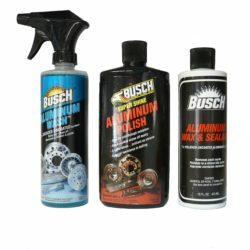 Busch’s aluminum wheel polishing products give you the best shine in the least amount of time. Don’t worry if your aluminum wheels have been neglected for awhile. 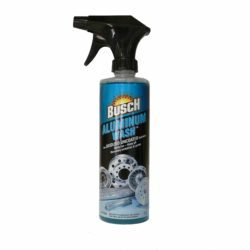 Start with Busch’s Aluminum Wash and remove the tough stains like water spots and oxidation. 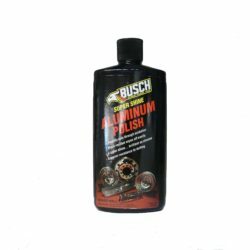 It makes easier polishing with Busch’s Polish. 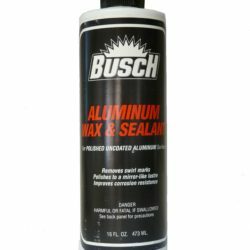 Finish up with Busch’s Wax and Sealant to hold that shine longer. The Solution is best product for cleaning and polishing your RV in one step. Just spray it on and wipe it off with a clean towel or microfiber. It cleans, polishes and leaves a UV protectant from the sun.